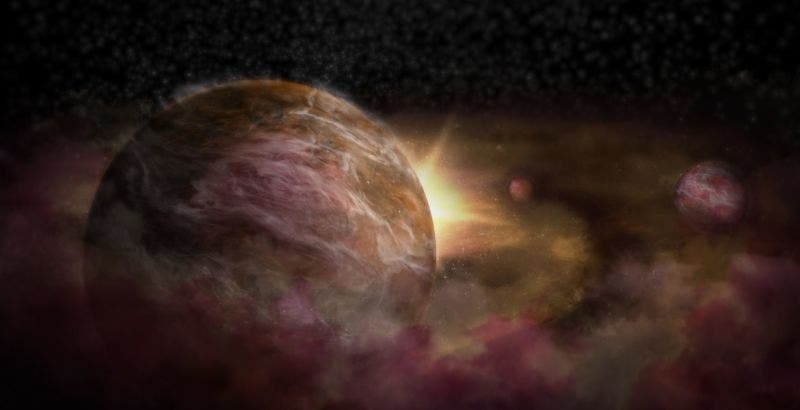 Using a novel method to measure inconsistencies in gas flows, researchers were able to identify three newborn exoplanets that would have been otherwise impossible to locate. Artist illustration of the three newly identified exoplanets. Credit: NRAO/AUI/NSF; S. Dagnello. Alien hunters have made terrific strides in the past decade: with the help of the Kepler Space Telescope, astronomers have discovered 2,342 confirmed exoplanets and revealed the possible existence of up to 2,245 others. Some of these have characteristics that make them Earth-like in terms of composition, mass, and size, and a fraction is possibly habitable given the orbit around their parent stars. One such planet orbits Proxima Centauri, which is only 4.2-light-years away. The newfound world, known as Proxima b, is about 1.3 times more massive than Earth, suggesting that the exoplanet is a rocky world. The planet is also in the star’s habitable zone, just 4.7 million miles (7.5 million kilometers) from its host star. To find exoplanets like Proxima b, scientists employ the so-called transit method, which involves measuring dips in a star’s brightness. On the off-chance that our telescopes are aligned in the same plane with a distant star and its planets, it’s possible to infer the presence of exoplanets from the star’s minute blips. These changes in brightness are characterized by very small dips and for fixed periods of time, usually in the vicinity of 1/10,000th of the star’s overall brightness over the time course of a few hours. The transit method has proven extremely useful for alien hunters and has been used to find most exoplanets thus far. It has one major drawback, though: planetary transits are observable only when the planet’s orbit happens to be perfectly aligned with the astronomers’ line of sight. These gaps in the rings of gas and dust could be used by forming planets. Credit: B. Saxton NRAO/AUI/NSF. This is why two new studies published in the Astrophysical Journal Letters (1 and 2) are such a big deal. The authors detailed a completely new method they used to detect not one, but three new exoplanets. The two team of astronomers initially pointed the Atacama Large Millimeter/submillimeter Array (ALMA) — the world’s most powerful telescope for observing molecular gas and dust — towards HD 163296, 4-million-year-old star roughly 330 light-years from Earth. 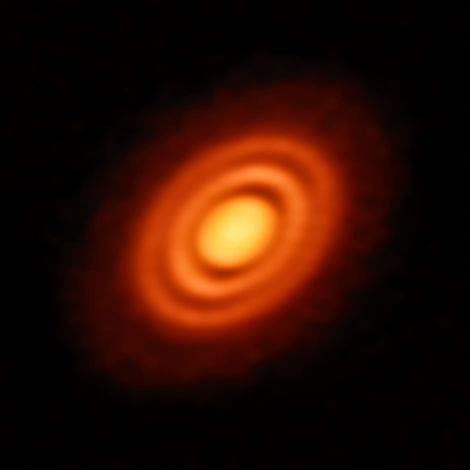 As expected, the very young star is surrounded by a protoplanetary disc of gas and dust, which provides the seeding material for new planets to form. By the looks of it, HD 163296 already has at least three young planets orbiting around it. The novel method doesn’t identify the planets directly but rather infers their existence by measuring inconsistencies in gas flows around them. Just like you can infer the presence and characteristics of a rock by the ripples it makes when thrown in a pond, so can planets be identified from the patterns of gaseous motion within the protoplanetary disc. Specifically, the researchers looked for subtle changes in the levels of carbon monoxide (CO) in high-res images captured by ALMA. “Measuring the flow of gas within a protoplanetary disc gives us much more certainty that planets are present around a young star,” Christophe Pinte, lead author on one of the two papers, said in a statement. Pine and colleagues used this method to identify a planet which orbits about 39 billion kilometers (24 billion miles) away from HD 163296. Meanwhile, another team at the University of Michigan located two other planets located roughly 12 billion and 21 billion kilometers (7.4 billion and 13 billion miles) from the star. All three planets seem to be as massive as Jupiter. Researchers hope that in the future their method will be employed on other protoplanetary discs. The technique is particularly promising for pinpointing very young planets — the kind of observations that could provide invaluable insight into how our solar system and planet Earth formed.